WordPress versatility and usability simply cannot be ignored. For business, it gives them the ability to explore the online market and help them grow. Also, they need to use a plethora of plugins to maximize what WordPress has to offer. One such plugin is heatmap plugins for WordPress. By definition, the heat map is a visual representation which stores the how users interact with the website. In other words, the web page’s visible area. An excellent WordPress heatmap plugin can let you not only monitor the user’s click but also ensure that you get to use that data to improve your website further. In this article, we will list the ten best WordPress heat map plugins. However, before we start, let’s try to understand the heat map and how they work. What does a heatmap do? From a content marketing strategy, heatmap is essential and beneficial at the same time. As it maps the clicks on a page, it can help the content marketer understand how his pages are working. Moreover, it also gives you a hint on which areas of the post/page is performing the best. You can also use it to improve other section of your page. It is also handy in helping you place optimal ads. Generally, a heat map highlights the area in four color code: red, yellow, green and blue. The red means the highest clicked area, followed by blue with the lowest intensity. One more thing that we want to share is that these plugins work differently. 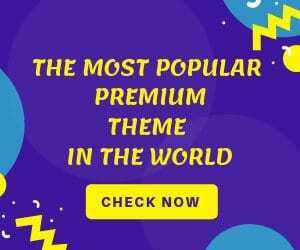 You may have to install a WordPress plugin, but these heatmap plugins act as a service which you may have to buy from their official site. It’s done to ensure that your website doesn’t get loaded due to hundreds of event recording requests. Heatmaps by SumoMe is one of the best free WordPress heatmap plugins out there. It comes with free tools from Sumo me. You can download the plugin and start using it with other benefits. It has over 100,000+ active installations which speak volume about its benefits. The heat map functionality is also well implemented. By using it, you will be able to know how visitors are clicking on your website. This information that the plugin captured can then be used to improve your pages further. Moreover, you can track any page you want with no limitation whatsoever. The plugin also offers real-time feedback which means that you can use it see what visitors are up to. To know more check their official website here. They also offer a PRO version of the plugin. If you are looking for an ultimate solution to tracking on your website, then Slimstat analytics is a good choice. Not only it lets you generate heatmaps of your website, but also allow you track tons of other things on your site. For example, you can monitor the server latency, bounce rate, page events and so on. You can also protect your privacy for your users. This WordPress heatmap plugin is regularly updated. Moreover, you can check it from the fact that they have updated their plugin according to the new European GDPR guidelines. Without over 100,000+ active installation, we recommend this plugin, only if you need all the other functionality. Last, but not the least, it also supports responsive design. If you are looking for a professional touch to your heatmaps, then Crazy Egg is for you. The most significant difference between a free and paid plugin is their tracking accuracy. Crazyegg boasts about their 88% accuracy. To use it with WordPress you need to install their WordPress plugin and also register on their website. It comes with features such as scroll-map tracking, click map heatmap, a beautiful overlay that lets you check on specific elements, understand the source of the clicks and much more. You can check their official website here. You can try their service for one month as all their plans are free for the first month only. After that, you need to pay a minimum of $29/mo. Heatmap for WordPress provides real-time tracking and analytics for the visitors. It works for both mobile and desktop website. This means that is responsive and supports touch. To ensure that the performance of the website doesn’t get affected, the tags required to monitor the site are loaded asynchronously. You can also check out their paid options here. With automatic updates, privacy and https support, the plugin is one of the best heat map plugins for WordPress. Their service is also good, and you can make it work by simply installing the heatmap tag on your website. Not only that, none of the tracking data is stored on the website and is stored on their server. If you want to record every action or movement of your visitor, then Smart look visitor screen recording plugin is for you. This click tracking plugin is free to use. The developers also don’t have any plan to monetize the plugin. This means that you can use the plugin without worrying about paid services. The plugin can be used to monitor movements, interactions, and mouse clicks. It is a visitor recorder and can help content marketers to understand their website. It can also be used by developers and designers to understand if there is any UX bug. The plugin supports multiple kinds of the heatmap, and as an admin, you can use it to analyze all type of posts. You can use various heatmap filters to know what the user’s up to. Furthermore, you can also compare the heatmaps if needed. Inspectlet is an open source mouse and clicks tracking plugin and free to use as usual. With this heatmap WP plugin, you can monitor your website for clicks, scrolls, mouse movement and much more. Basically, with this plugin, you can thoroughly monitor your user’s activities. By using this plugin, you are bound to learn about your users and use that information in improving your business altogether. It also comes with eye tracking. Furthermore, you can check the outline of the clicks that the user make. As a WordPress user, it won’t take much of your time to install it as well. If you want to do A/B testing using beautiful heatmaps, then Nelio is for you. Nelio is an optimization and versatile conversion plugin for WordPress. This is extremely useful for websites that are testing our new design or ways to convert visitors. With the knowledge of the heatmaps, you can further decide what’s wrong with the design and implement it better. Lucky Orange is one of the most professional plugins available for website optimization insights through heatmaps. The custom feedback tool is designed to offer graphical data from your recorded visitor data. It helps you analyze why parts of your website are unable to generate clicks through its heatmaps, polls, analytics, recordings and more. Lucky Orange is designed to eliminate the need for guesswork when optimizing your website. The plugin installs with just one click and comes with a chat system. That fully featured chat system allows you to directly interact with your customers and help them out as they fill up forms or have queries about your business. A heat map tool is essential for identifying the strengths and weaknesses of any WordPress website. If you want to set up your heatmap plugin and do not have the coding expertise needed, Hotjar Connecticator has you covered. It allows you to create custom scripts and test them within the plugin as well. This WordPress heatmap plugin can show any relevant data that you want to track to assess the engagement on your website. The plugin is straightforward to use and is available from the WordPress dashboard. It is one of the easiest means of adding Hotjar scripts to your websites and is a handy tool for beginners using the platform with great optimization and performance that does not slow down your site. Clicky is a real-time web analytics platform. 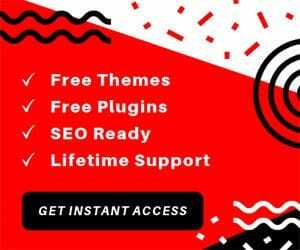 Moreover, you might have guessed it that you need to install its plugin to make it work on your website. Right now, Clicky is extremely popular and collects all the necessary data to do a proper analysis. Some of the key features include goal monitoring, advanced bounce rate calculations and API for video tracking. Their service starts at just $14.99 per month. The heat maps are only available with Pro Plus and not Pro($9.99). Check out their official page here. If you want access to real-time customer experience analytics with the help of a plugin, Seevolution is one of the most user-friendly solutions available for WordPress. It includes features like click and eye tracking and also a smart attention scroll feature to analyze the engagement your content generates for every individual page. The professional analytics and tracking plugin shows data live for users who want to view metrics and spot weaknesses of their website. It can accumulate customer behavior data across your entire site and offer you insights for improving on factors that frustrate your viewers. The plugin comes with a free trial to try out all of the professional features. 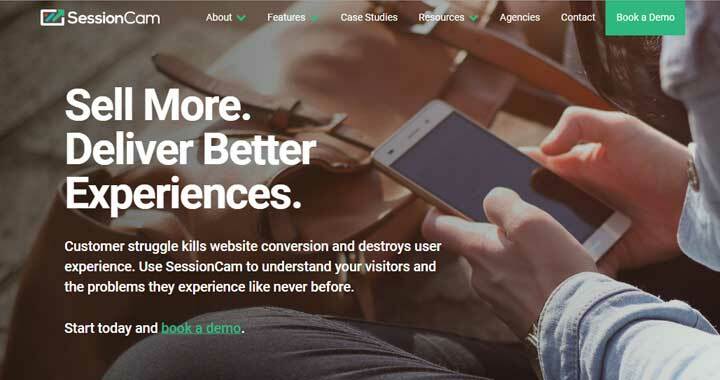 If you are looking for a service or a plugin that not only tells you about the heatmap but also about the show you a recording of how your visitor reacted, then SessionCam is for you. It is an excellent service that will let you cover all your website pages and govern all the visitor’s action on them. It tracks mouse movements, clicks, or any errors that are generated during the interaction. For WordPress users, you need to use a plugin to get it working. Also, it has a free option that you can take advantage off. For now, it only works for 500 pages per month. Other key features of the plugin include form analytics, session replay, struggle detection, anomaly detection, and much more. 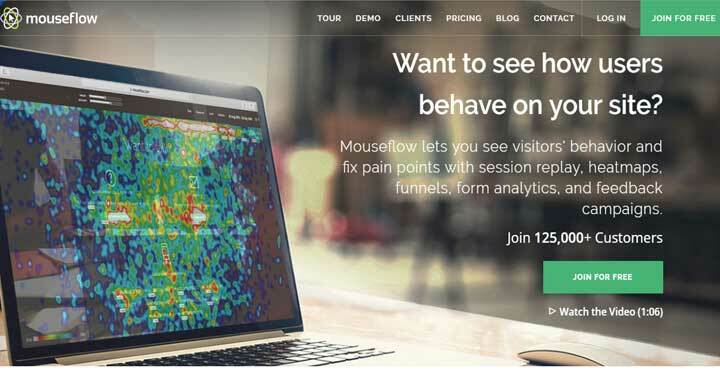 Just like SessionCam, Mouseflow is also heavily focused on tracking and recording the visitor’s mouse movements. It also stores another form of interaction including keystrokes, scroll events, clicks, etc. The tool is built for severe marketers as it will help them understand what needs to be improved. It comes with session replay, proper heatmaps, and funnels. The plan starts at only $10/mo. Any Other WordPress Heatmap and Tracking Plugin? In today’s article, we discussed both free and paid heatmap WordPress plugins. We recommend Crazyegg if you are looking for a paid service/plugin. For the free version, checking out heatmaps by Sumome. However, our suggestion doesn’t mean other plugins are bad or lack something. You are free to use any plugin you want. So, which plugin or service are you going to use? Comment below and let us know.